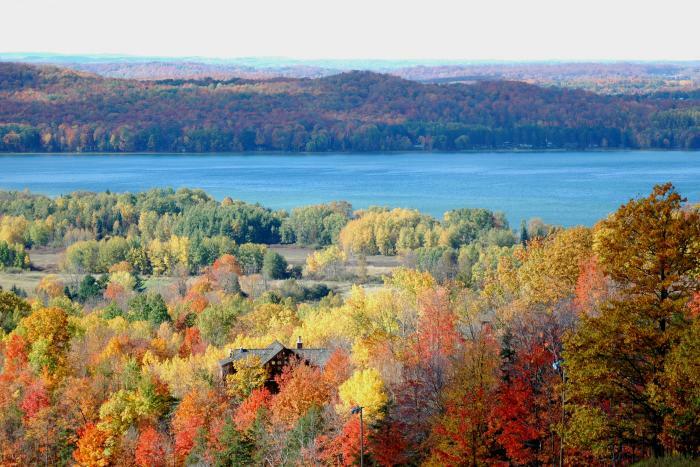 In our gorgeous region of northern Michigan, there are many options to make it a day to remember. From sightseeing, nature walks, small towns and art galleries to eateries and brew pubs, consider yourself lucky to have such a variety of great choices! In Antrim County alone, you’re sure to find many things to match your interests. A lovely 20-minute drive north from Traverse City on US 31 brings you to the picturesque town of Elk Rapids, located on Grand Traverse Bay. Prior to entering the city center, you’ll see Twisted Fish Gallery and Sculpture Garden on the left. A true destination, plan some time to visit the moose and wander their flowering gardens and outdoor sculpture. 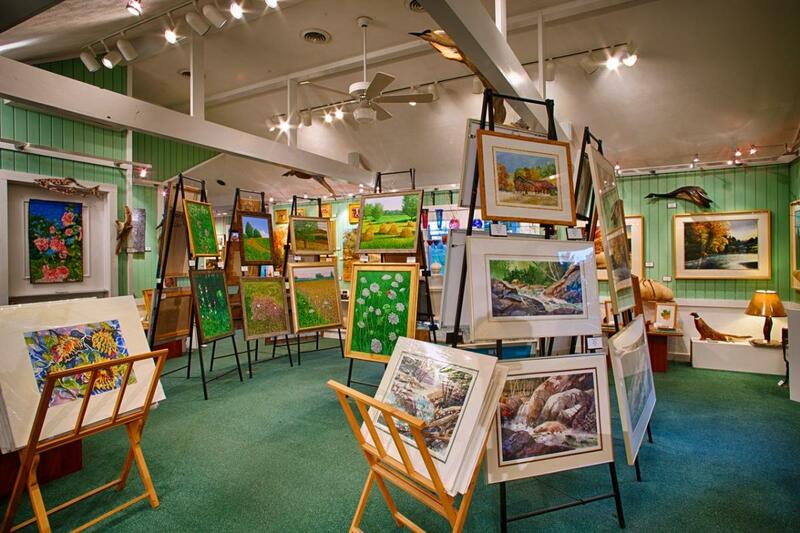 The gallery is full original fine art, everything from jewelry, glass, pottery and metal works to representational and abstract art by local and nationally recognized artists. This is the perfect place to take care of gift-giving needs and to pick up something special for yourself. A short ride from Twisted Fish Gallery takes you to scenic downtown Elk Rapids, where one-of-a-kind shops and restaurants await. Bring comfortable shoes and a beach bag -- you can walk along the river and falls in town to Veteran’s Memorial Park. Shoot hoops or relax and watch the kids play -- this park also includes an expansive, sandy beach. The town’s Walk of Art Sculpture Park, part of 15-acre Day Park on South Bay Shore Dr., is not to be missed! You’ll find an easy hike through woods and dunes while experiencing 30 pieces of outdoor art. Foodies should check out Pearl’s New Orleans Kitchen or the lakeside Riverwalk Grill and Taproom, both on nearby Ames St. in Elk Rapids. Venturing north of Elk Rapids you’ll begin driving along Torch Lake with its clear, crystalline waters. Pull over for views, photos and a dip. 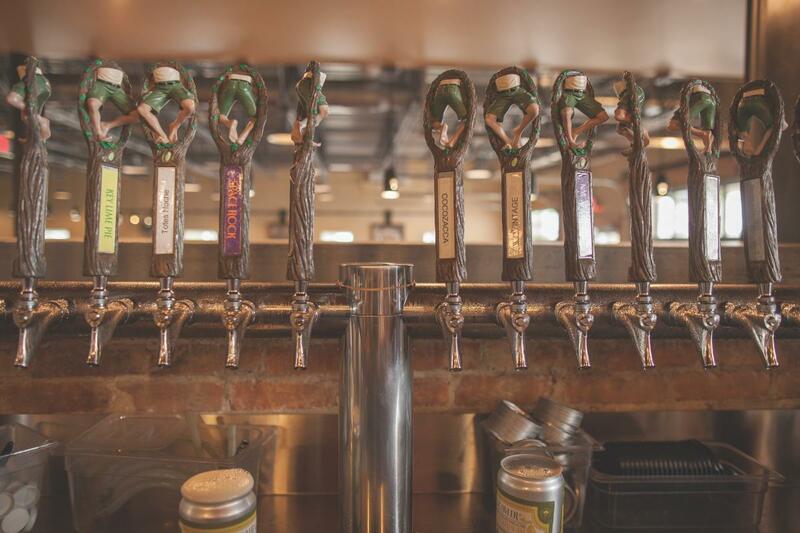 If you’re looking to sample some of the area’s craft beer offerings, you can’t pick a better place than Short’s in Bellaire. Located on N. Bridge St. in downtown, plan on a sampling flight to find your favorite of the many creatively-named, delicious beers. Like it sweet? Don’t miss Soft Parade or Strawberry Short’s Cake, while IPA lovers will enjoy Huma Lupa Licious with its five hop varieties. A varied menu and sodas for the kids make Short’s a family-friendly place where you can buy a six-pack to go! After all the activity, take some time to unwind -- nature lovers will enjoy Grass River Natural Area, a nearly 1,500-acre nature preserve along the Grass River in the heart of Antrim County. There are seven miles of maintained trails and a 1.5 mile boardwalk to get you into the heart of this gem. It’s open year- round, dawn to dusk. Finally, be sure to relax and enjoy it all. No matter what season you visit, the views are stunning, the people friendly and the memories are just around the corner, waiting to be made. Lawton Gallagher Group is a full-service communications and marketing agency in Traverse City, specializing in marketing, online communications, websites, and public relations. The staff feels fortunate to help small and medium-sized businesses tell their stories, and getting to enjoy the ever-gorgeous scenery by living and working bayside.